Excitement was in the air as LA Galaxy fans got to take in the first official preseason match of 2019. The Galaxy faced off against Toronto FC who has been training in Orange County over the past few weeks. The preseason match drew a decent crowd for a chilly night at Dignity Health Sport Park, henceforth referred to as “The Diggity”, all 3 supporters groups were out in force and created a good atmosphere for the match. With the MLS season less than a month away, the new Galaxy coaching regime took the opportunity to test some of their new players. Guillermo Barros Schelotto was without some key players like Zlatan Ibrahimovic (rested), Ola Kamara (illness), Sebastian Lletget (injury). The Galaxy started the night in a 4-4-1-1 or a 4–2-3-1 formation with Chris Pontius and draftee Emil Cuello up top. Uriel Antuna on the left wing, Jona Dos Santos and Servando Carrasco in the middle and Romain Alessandrini on the right. Jorgen Skjelvik looked more comfortable playing as a left back, while Diego Polenta and Dan Steres patrolled the center of defense and the goal scorer Rolf Fletcher in his usual right back spot. The Galaxy controlled much of the match with Man City loanee Uriel Antuna providing the outlet on the left side. Alessandrini seemed to be siding into the middle of the field to provide extra support for Jonathan Dos Santos and Carrasco. Jona playing the box to box role and Alessandrini and sometimes Cuello as the playmakers. Diego Polenta was a player that we had our eye on since the Galaxy’s main issue last year was in the defense. He showed calmness on the ball and had the ability to find good outlet passes. Polenta is returning from a bit if a sabbatical and showed some rust. He got himself into trouble a few times, perhaps not realizing how quickly the challenges were coming. We are certainly hoping he will make the proper adjustments as he gets more games under his belt. Polenta played about 60 minutes before being subbed off. The Galaxy created chances but it was persistence and a little luck that saw the ball go in the back of the net in the 55th minute. Romain Alessandrini took a short corner to Antuna who returned the ball, Alessandrini hit a one time left footed cross to the near post. Feltcher got in front of his defender and attempted to flick it on with the back of his head, but the ball deflected into the back of the net by Toronto’s Terique Mohammed. The game saw wholesale changes after about the 65th min. Galaxy newcomers Julian Araujo, Diedie Traore, Don Tchialo all saw some time on the field. Juninho made his return to the Galaxy in the 75th minute to a big ovation but perhaps the biggest cheer came when Efrain Alvarez entered the game in the 65th min. It's clear that most Galaxy fans know that he could be the team’s next big homegrown star. Unfortunately, he was not able to make an impact on the game. The youngster missed a clear opportunity to make the game 2-0 late in the match. The resulting counter attack allowed Toronto to equalize from an own goal on the other side. Richie Laryea sent in a low cross into the area and the ball deflected off Dave Romney and into the back of the Galaxy net. Players who did not play that many minutes stayed behind to get a training session in after the match. It should be noted that a post match training session is very rare. The Guillermo Barros Schelotto era has begun indeed. Imagine that you’re a poker player playing a cash game at your local casino. You’ve been playing since the table first opened for the day and have built a very sizable chip stack. In fact, you have been the biggest winner at the table thus far. You know and understand the other player’s games, tendencies and tells. 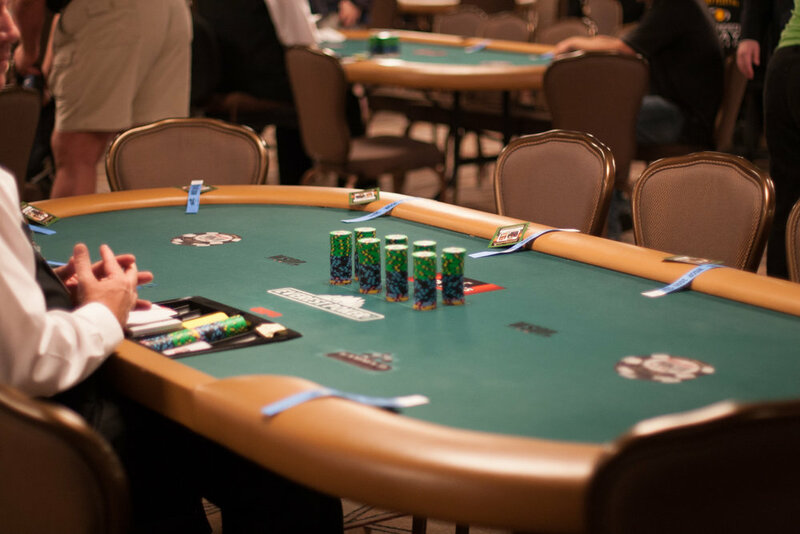 Though you will inevitably lose some hands and big pots from time to time, you are very confident that you are one of the better players at the table and will surely walk away from the table with a big profit. Life is good. Suddenly, one of the players decides to leave the table and a new player sits down to join the game. They immediately make their presence known. They sport loud and flashy clothing, and jewelry is worn in what seems to be on every body part. They buy in for more money than any other player at the table has in front of them (unnecessarily). They are loud and obnoxious, talking about how there’s a new player in town and that they will take everyone’s money. They see your chip stack and target you specifically. They call you out and warn that all your money will soon be theirs because they’re coming for you above anyone else. You immediately despise this person. You decide at that moment that you will not lose to this player. You study their gameplay, you learn their tells and be patient for the perfect moment to strike. 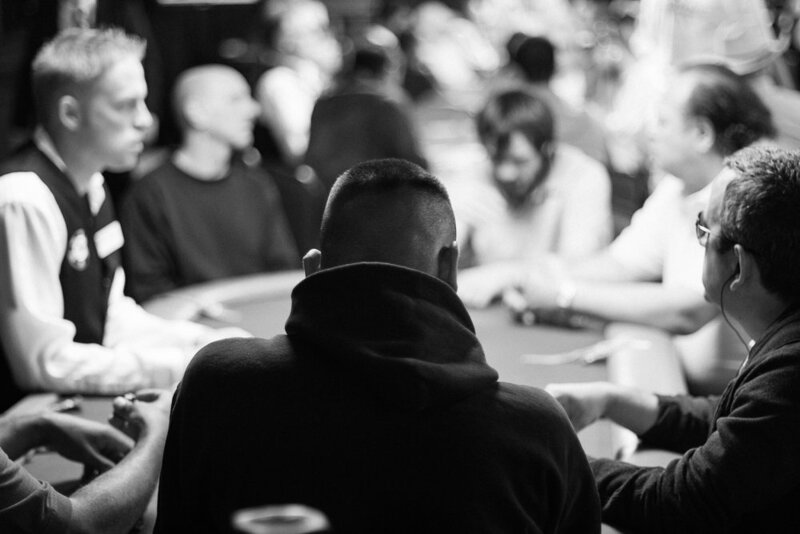 Finally, a big pot builds and it’s heads up between you and this player. In the end, you show the best hand and win the pot! A big smile appears on your face as you pull in your newly acquired chips. However, while you’re stroking your ego, you suddenly realize that your chip stack isn’t as big as it should be after winning such a big pot. Your look of pride and joy suddenly turn to confusion. How could this be? Well, while you were busy focusing on beating the new player, you forgot that there were 8 other players still at the table outplaying you because you were too busy trying to win an ego battle. Alas, we have arrived at the point. For those who haven’t figured out the metaphor, the players at the poker table are the Galaxy and LAFC. 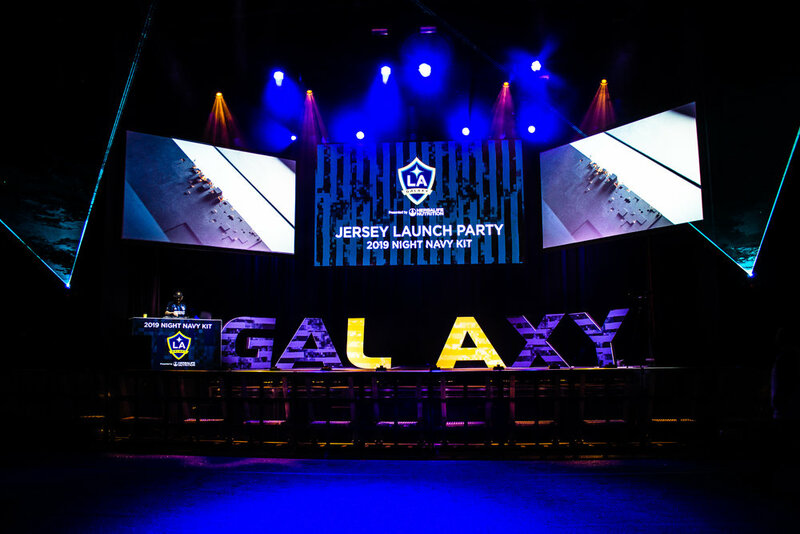 The Galaxy would be wise not to have a knee-jerk reaction when it comes to what LAFC does. When Galaxy President Chris Klein says that he is not worried about what LAFC is doing and that he is only focused on the Galaxy, he is making the correct decision. Well, partially. Klein should not completely ignore LAFC for the mere fact that they are still competition, but to try to out duel a new and unproven team at the cost of losing to the real MLS Cup contenders would be foolish. LAFC is the new player at the table and they NEED to make their presence known. They need to show the league that they have money and are willing to spend, they need the flashy clothes. They need to market their team to everyone to get all the focus on them. This is perfectly normal for an expansion team. But make no mistake, this is all a perfectly planned illusion. It is a psychological tactic. Just like the new poker player at the table, everything he does is for a reason. The flashy clothes, the big chip stack, the hard talk about how he’s going to take your money, it’s all meant to throw you off your game. It’s done to rattle your cage and to make your decisions based on emotion rather than reason. It is done so that you can make a mistake so that they can capitalize on it. When you’re an expansion team, this is all you have. After such a disappointing season in which they will most likely miss the playoffs for the first time in 9 years, the Galaxy should be focusing on themselves and not worry about anyone else. They need to go back to what made them so successful for so many years. They shouldn’t be worried about the marketing battle between LAFC because it is a battle they can’t win at the moment. The Galaxy need to regroup and make smarter decisions if they are to be competitive next season. The ultimate marketing strategy is winning games, trophies and titles. The fans will come after that. LAFC will certainly talk a big game, but without backing it up, the fans will quickly turn on them for a winner. Galaxy fans will surely have a hard time accepting that we shouldn’t be focused on LAFC and that is perfectly fine. After all, fandom is about ego and pride, nothing more. But where fans can be forgiven for putting ego and pride above reason, the front office can’t. They need to be more rational and focus on the bigger picture. They need to remember that the ultimate goal is to win an MLS Cup and not to defeat a single rival during a season. There may come a time when LAFC is the favorite to win a title, and when that time comes, that is when the Galaxy can focus on beating LAFC. Like a poker player, the front office needs to throw emotion and ego out the window when making decisions that will affect the club. Chris Klein has the right mentality, now he has to make the correct decisions.